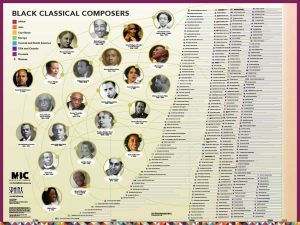 All 300+ composers on the Black Classical Composers Timeline Poster! Search or sort by surname, region, birth year, or death year by clicking on the column headings. Click here to learn more about the poster!